The Michel Forgeron Hors d'Age Grande Champagne cognac is a truly exceptional blend of premier terroir eaux-de-vie. Aged for over four decades deep within the house's cellars, it was allowed to naturally reach 50 ° of alcohol content. The tasting experience is sublime. Beginning with violet tones on the nose, soon a myriad of other aromas explode the senses. Powerful, elegant, spicy, and of course, there's a wonderful rancio that only occurs in cognacs that are truly well aged. The finish certainly doesn't disappoint - truly long, velvety, and delicate. This is a cognac to savor - and it can hold its own in the smartest of company. Michel Forgeron Cognac’s uniqueness lies in its very special history, its environmental concern and of course in its quest for quality. 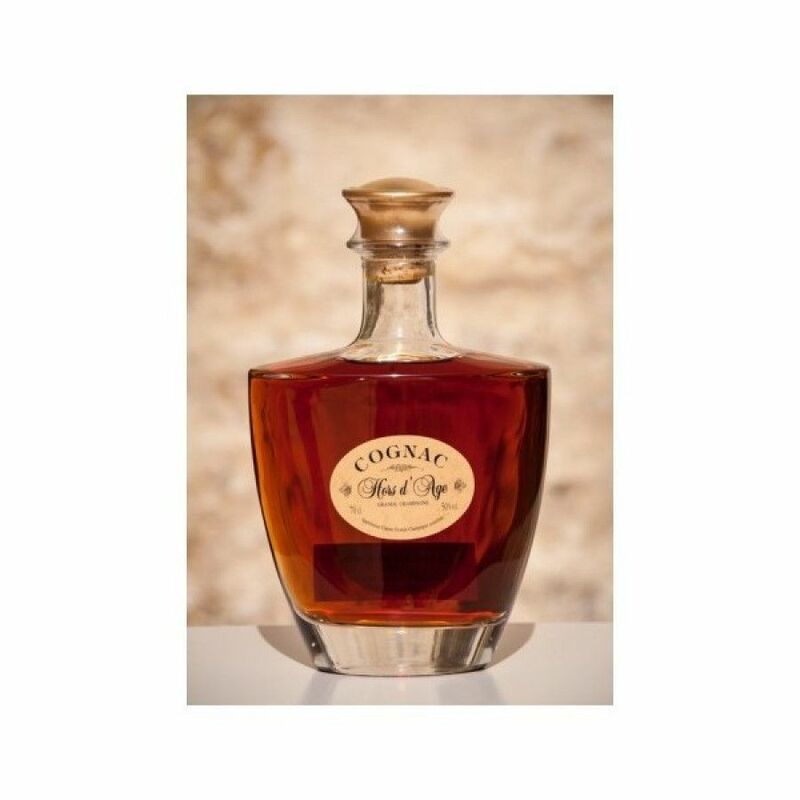 With a relatively young history, the first cognac under the brand Michel Forgeron was produced in 1977. Their philosophy remains the same as his grandfather’s, who bought the agricultural property at the turn of the century: work better, produce better. Recently, for its hundred year anniversary, Forgeron covered one of the estate’s roofs with solar panels in order to work with sustainable energies for the cognac production. Nose: Delicate floral notes with hints of oak and spices. Palate: Tastes of flower petals, stewed figs, and cedar wood. Finish: Long, satisfying, sweet. The delicacy of the aromas appears from the first moments with very present Violette aromas followed by the power of sweet spices: licorice, Pain d'Epices, Cinnamon, Orange candied, Sandalwood.The Cognac blooms little by little to aim towards the balsamic smell of the incense paper and the sweetness of a smoking Cocoa.Powerful, elegant, almost peppered.Its length, the obstinacy of the aromas on papillae prolong for a long time the pleasure of the tasting in a velvety and delicate rancio.